With tax season upon on us also is the increase for various IRS scams. One of the most recent involves erroneous refunds. Criminals have a new twist on an old scam. After stealing client data from tax professionals and filing fraudulent tax returns, these criminals use the taxpayers’ real bank accounts for the deposit. For more information regarding this scam and what to look out for so you do not fall victim you can visit IRS.gov or click here. The Wichita Falls Police Department’s Financial Crimes Unite has seen a rise in persons becoming victims of rental scams from various websites such as craigslist and HotPad. Though many times the website offers great deals some of those deals can be scammers trying to get your money before you find out. Scammers know that finding the right apartment or vacation rental can be hard work, and a seemingly good deal is hard to pass up. They’ve been known to game some vacation rental websites and bulletin boards. The take-away: when you’re looking for a rental, its caveat renter — renter beware. But they have a plan to get the keys into your hands. It might involve a lawyer or an “agent” working on their behalf. Some scammers even create fake keys. Don’t send money to them overseas. If you can’t meet in person, see the apartment, or sign a lease before you pay, keep looking. What if the rental itself is overseas? Paying with a credit card or through a reputable vacation rental website with its own payment system are your safest bets. If it does not feel right investigate further before sending money or personal information. If you feel like you have been a victim of theft please contact the Wichita Falls Police Department with all available information at (940)761-7792. On many occasions the Scammer is not from our jurisdiction but with enough information the case may forwarded to the correct location for investigation. There has been an increase in fake checks in our area being mailed to victims for various reasons from alleged Secret shopper programs to online fraudulent jobs posted via craigslist. BEWARE – if someone sends you a check then ask you to wire money directly back to them or someone else after you deposit the check into your account IT IS A SCAM! The FDIC requires banks to make funds available on cashier’s checks and money orders within 1-5 days, so the scammers are counting on you receiving the funds and going through with the wire transfer before the check or money order has actually cleared the bank. By the time you find out that the check is not legitimate, you are out the money you sent and will be held accountable for the bounced check by your financial institution. If it sounds to good to be true then it is. Verify the validity of the check and be very cautious when depositing or cashing checks. It’s that time of year again! With summer drawing to a close, people will be out and about on road trips and last minute family vacations. Undoubtedly activity at local gas stations will be on the rise. The increase in activity will also mean more opportunities for criminals to strike. Gas pump skimmers are a common method crooks use to steal your identity. Here are a few tips to help you as a consumer avoid or reduce your risk of becoming a victim of a skimmer scam. Bluetooth skimmers. More advanced skimmers are blue-tooth capable so the crook will not even have to come and get it! They will simply park nearby and access the blue tooth skimmer through mobile devices such as laptops or smart phones. Others that are externally attached may have to be retrieved by the crook at some point in time. Suspicious people. If you see people hanging around gas pumps or pretending to be maintenance workers, inform the employees or call the police. It could be nothing or it could be the criminal retrieving stolen information. Credit/Debit cards. Finally, check your credit/debit cards or gas card statements regularly for any irregularities or unusual charges. 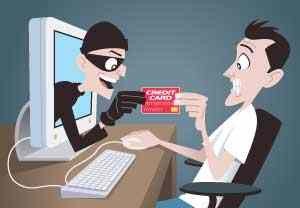 Notify the police and credit card company as soon as possible for the fraudulent charges to protect yourself and your credit. It’s that time of year again! With summer fast approaching, more people will be out and about on road trips and family vacations. Undoubtedly activity at local gas stations will be on the rise. The increase in activity will also mean more opportunities for criminals to strike. If possible avoid gas pumps that are out of view of the store employee. These pumps could be more easily compromised with a skimmer since employees will not be able to see activity around the pump. Use the pumps that are within view of the employee these will probably have a reduced risk of being compromised. Check to see if the pump has a seal placed on the access door. If this seal is broken or gone, move on to another pump if possible. It could mean that the pump has been compromised. If the seal is missing or broken notify the employee immediately. If you notice anything attached to the outside of the pump that appears out of place or brand new in appearance compared to the pump itself, it could be a skimmer or camera to video your PIN. Externally placed skimmers will allow the transaction when placed over the pump card reader, but will also steal your information at the same time. Some skimmers are blue-tooth capable so the crook will not even have to come and get it! Others that are externally attached may have to be retrieved by the crook at some point in time. If you see people hanging around gas pumps after business hours or pretending to be maintenance workers, inform the employees or call the police. Finally, check your credit card or gas card statements regularly for any irregularities or unusual charges. Just some tips to help everyone enjoy the upcoming summer. Some of you may have received a bank alert email purportedly from Suntrust bank. This is a phishing scam that has been floating around nationwide since 2004. As long as you’re not a Sun Trust customer and you didn’t follow the links and enter any personal banking information then there’s nothing to worry about with this spam email. However, clicking on the link will more than likely attempt to download a virus on the PC. This email, which masquerades as an Activity Summary from US bank SunTrust, claims that the recipient’s contact information has been updated. The message states that the recipient can view this supposed update by clicking a link and signing in to his or her account. The message includes the SunTrust logo and message formatting. However, the email is not from SunTrust. Instead it is an attempt by phishing scammers to trick SunTrust customers into sending their account login details and other personal information to Internet criminals. The scammers hope that some recipients will be panicked into believing that their account has been compromised and therefore follow the link without due forethought. Those who fall for the trick and click the link will be taken to a bogus website that is virtually identical to the genuine SunTrust login page. Once they provide their user ID and password on the bogus site, they will be taken to a second bogus page that asks for further banking details as well as email account information. All of the information submitted can be collected by scammers and used to hijack bank and email accounts belonging to victims. This phishing attempt is somewhat more sophisticated than some. Many banks will send an automatic email to customers if account details have been updated so the message may resemble genuine banking messages that the user has received in the past. Moreover, the bogus site even displays a fake data verification message after users enter the requested information in an attempt to make the process seem more legitimate. Finally, victims are automatically redirected to the genuine SunTrust website and shown a message notifying them that have successfully signed out of the banking session. Thus, users may continue to believe that they have successfully verified their account details and may not realize that they have handed their accounts to criminals until it is far too late. Never click links or open attachments in unsolicited emails purporting to be from your bank, even if the email looks genuine. The safest way is to always login to your online accounts by entering the web address into your browser’s address bar rather than by clicking an email link. New Phone Scam – BE AWARE! 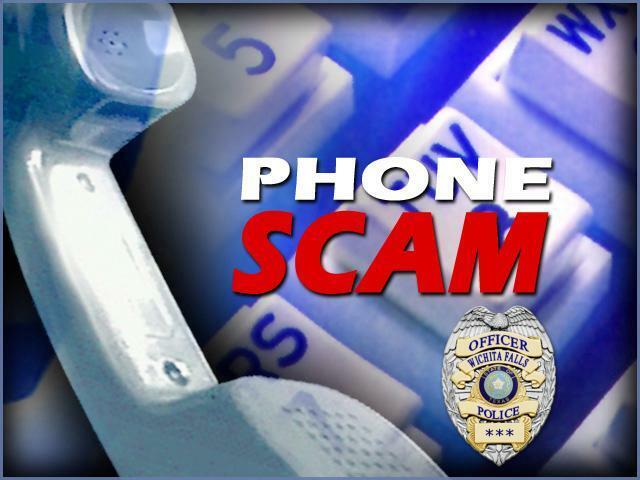 On 08/21/14 the WFPD Financial Crimes Unit was made aware of a widespread telephone scam both in our local area and out of state. The scam begins with an unsolicited telephone call from an individual claiming to be a representative of the law offices of local attorney Jeff McKnight. The caller typically identifies himself as Ron Adams who then proceeds to tell citizens that they are suspects in fraud case involving Cash Advance. The caller then threatens to file criminal charges if money is not repaid in the form of prepaid greendot/vanilla cards. The common denominator in the calls is the phone number is the same every time and the caller has a heavy accent and speaks broken english. The phone number is 940-202-9905 and is a known number associated with telephone scams. The Wichita Falls Police Department, on behalf of Jeff McKnight, would like to stress to citizens that this scam is in no way associated with the Law Offices of Jeff McKnight. If anyone receives a call from this number they are encouraged to report it to authorities immediately with the understanding that it is a scam. Citizens can also educate themselves with regards to telephone scams by googling any suspicous numbers they might receive calls from.